Things can get challenging when the mercury falls 45 degrees below zero. Air hoses freeze, trains and trucks slow, and each minute of delay ripples down the supply chain. A decade ago, a customer could wait out the storm, drawing on backup supplies of paper they had stored in their warehouses. Today, those facilities are long gone, and in their place are complex webs of electronic tracking systems and processes that make up just-in-time inventory systems. This shift among customers has inspired Resolute to adapt and move quickly to meet customer expectations. Enter Brian McGurk, Director of Logistics who, ironically enough, likens his world of interlocking systems, dependent variables and feedback loops to an ecosystem that rivals the forest. The second sphere is customer facing. 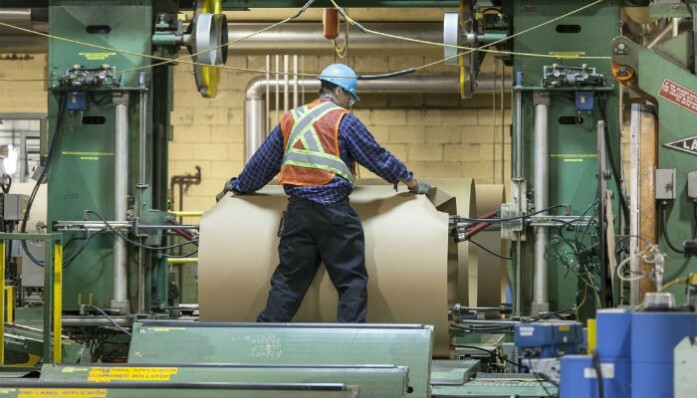 It includes everything from the forklift that takes the paper from the mill to the waiting train or truck that ultimately delivers the shipment to a publisher or retailer.